Get a taste for Apex Legends' first season and newly-arrived Legend Octane with the new Wild Frontier and Season 1 trailers. The wait is over: Apex Legends Season 1, the Wild Frontier, has finally arrived. Not only does the release of the first season coincide with the launch of the Apex Legends Battle Pass, it also allows players to check out loads of new content including recent Legend addition Octane. Given the slew of fresh digs coming to the game, the folks at Respawn Entertainment have cut together a couple of new trailers showcasing everything players can expect to see in the new season. The first trailer serves to hype up players not only for the new season, but for some of the high-flying action and rewards they can expect to see through the coming weeks. It also gives a few glimpses of Octane, but not nearly as much as the new Octane trailer featured below. Given that players hadn't been provided with very much information about new Legend Octane, this latest trailer certainly helps round out his story. A speed demon with robotic legs and a taste for destruction, Octane's partly mechanical form calls out to his primary power — the ability to regenerate himself. He's also the Legend meant to make use out of the jump pads which began appearing in-game last week. Of course, one of the biggest draws to the new season is the arrival of the Apex Legends Battle Pass. 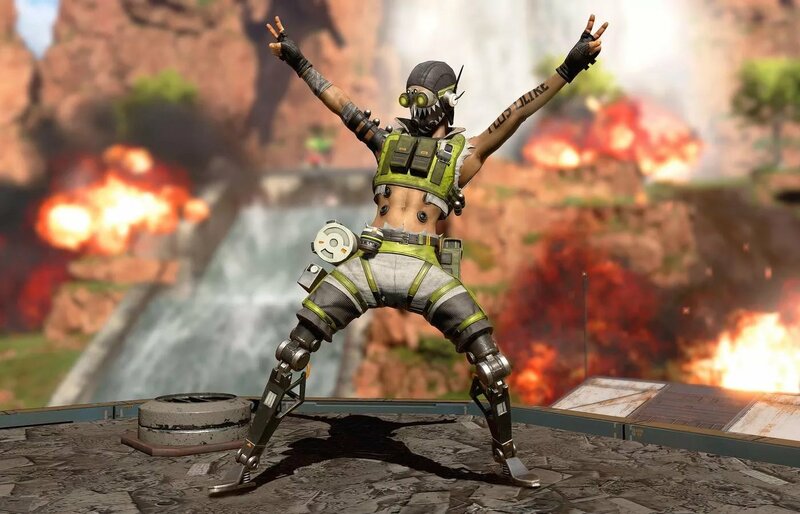 We've previously covered the cosmetics, skins, and other rewards offered by the Apex Legends Battle Pass, but players who prefer a more audiovisual glimpse can feel free to check out the new Battle Pass trailer featured above. Outside of the new Season 1 Battle Pass content and new Legends, the release of Wild Frontier also coincides with the game's update version 1.0. Among other changes, the latest patch notably addresses performance issues, stability, and crashes, plus introduces a way for PC players to report others suspected of cheating. For a more in-depth look at all the tweaks and changes, check out our guide to the Apex Legends update version 1.0 patch notes. As the popularity of Apex Legends continues to grow, fans can expect even more content, collectibles, and cosmetics to make their way into the game. Even the three new trailers featured above aren't quite enough to show off everything players will see throughout the Wild Frontier season, so be sure to keep it tuned to Shacknews' Apex Legends home page for all of our latest news and guide coverage.